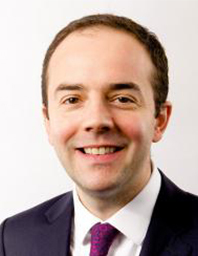 James Murray joined the Mayor's Office in 2016 as Deputy Mayor for Housing, coming from Islington Council where he held the position of Executive for Housing & Development for six years. During James's time in Islington, the borough was one of the top building local authorities in the country. He oversaw the introduction of planning policies to raise the proportion of affordable homes in new developments, including a new standard for viability assessments. In the Mayor's Office, James will focus on bringing together a broad alliance - including councils, housing associations, developers and business - to support plans to build more new and affordable homes in London. He will advise the Mayor on planning policy, particularly helping to develop and implement new approaches to housing. He will oversee work at City Hall to improve the private rented sector and tackle homelessness, in line with the Mayor's priorities. James advised the current Mayor during his selection and election campaigns. Before taking a position on Islington Council's executive, he worked in Parliament and for a management consultancy. He has lived his whole life in London, and currently lives near Kings Cross.